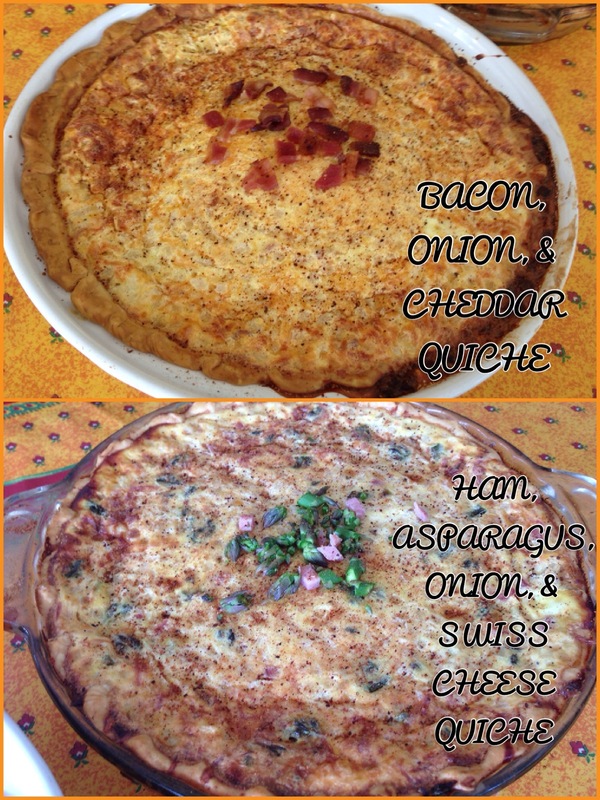 While you are at it, why not make two great quiches, one to eat right away and one to freeze! The mess is the same!! 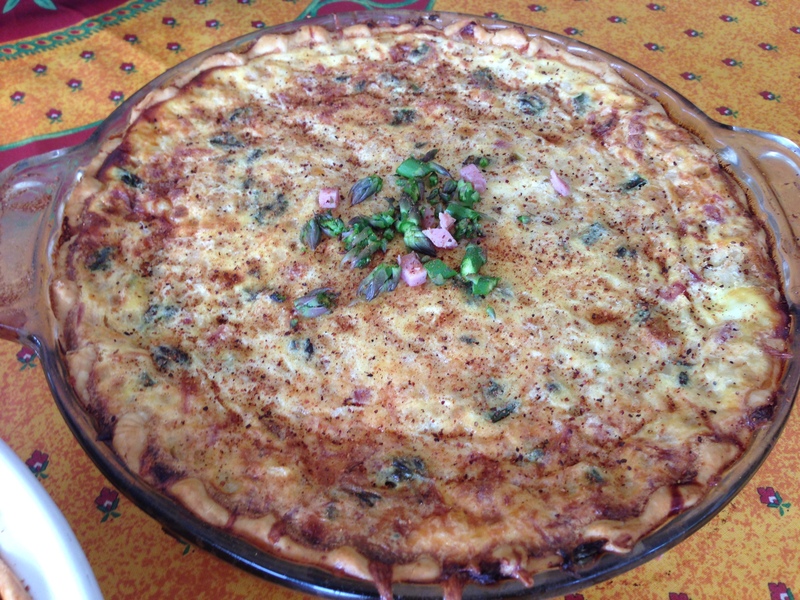 This is a fool-proof recipe and makes a delicious quiche. They freeze very well too! Preheat oven to 400 degrees. Saute the onions in the butter in a large skillet over medium-low heat for 15 minutes, stirring occasionally, until the onions are soft and slightly browned. Set aside to cool. 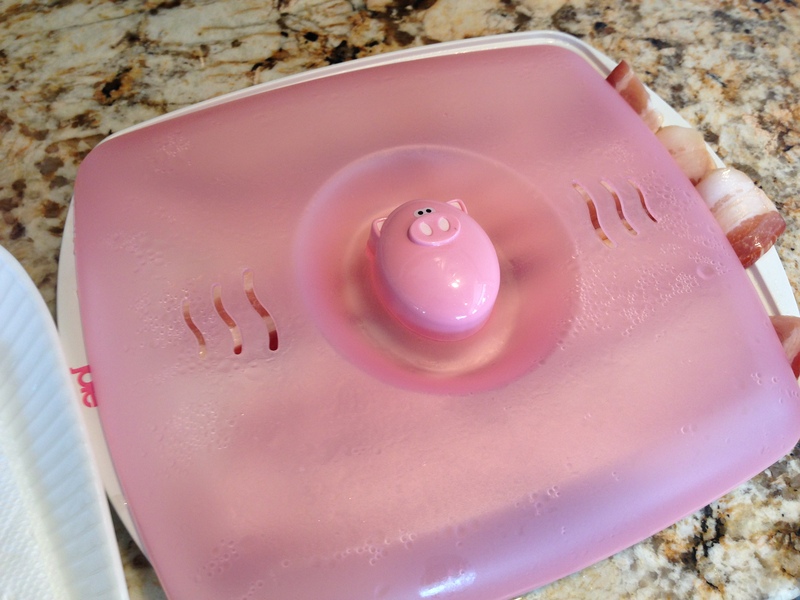 My cute little microwave bacon cooker! Fry the bacon or cook in the microwave until crispy. Chop into bite-size pieces, set aside to cool. Roll out the pie crust and press it into a large deep dish pie pan. 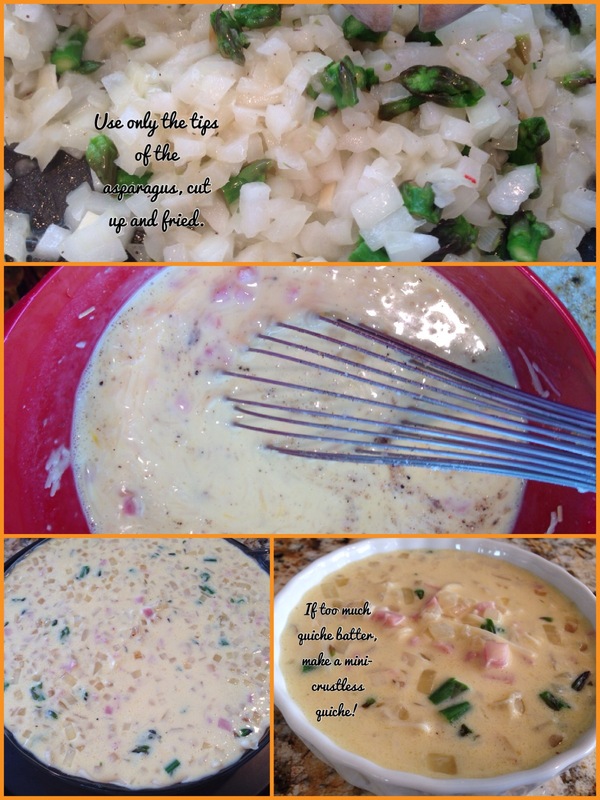 Crimp the edges with your fingers or fork. 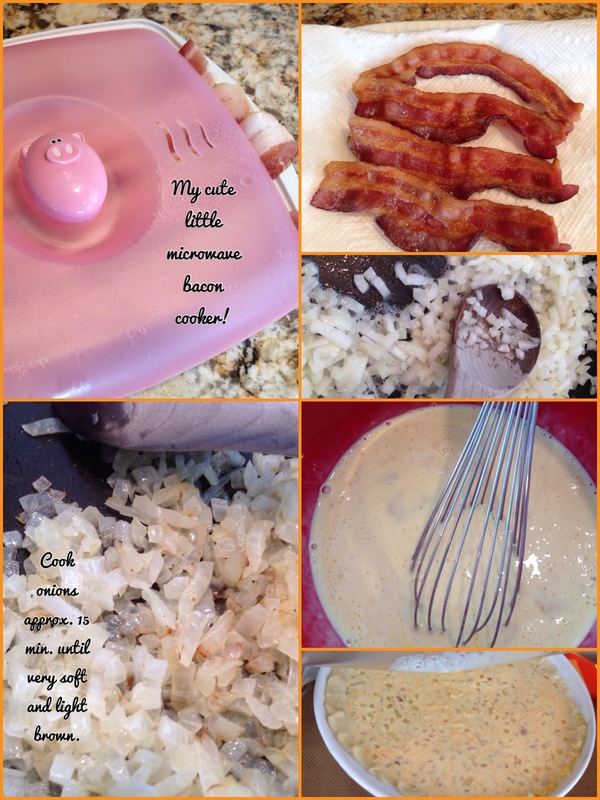 Whisk the eggs, cream, salt and pepper in a large bowl, mix in the onions, bacon, and cheese. Pour the mixture into the pie crust. Place the pan on a rimmed baking sheet, cover lightly with aluminum foil and bake for about 40 to 45 minutes. Remove the foil and continue baking for 10 to 15 min. or until the quiche is set and the crust is golden brown. Remove from the oven and allow to sit for 10 minutes before slicing. Preheat the oven to 400 degrees. Fry the onions and asparagus tips in the butter in a large skillet over medium-low heat for 15 minutes, stirring occasionally, until the onions are soft and slightly browned. Set aside to cool. 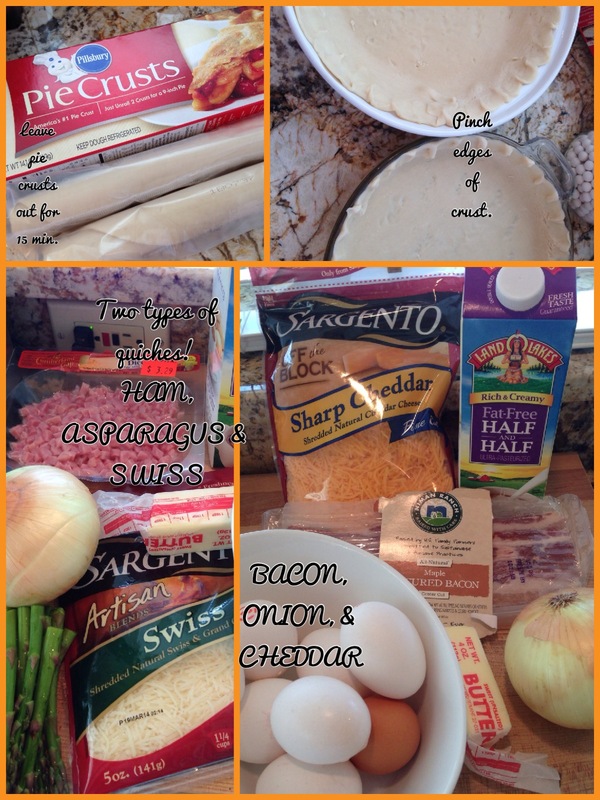 Whisk the eggs, cream, salt and pepper in a large bowl, then add the onions/asparagus mixture, ham, and swiss cheese, mix with spoon. Pour the mixture into the pie crust. Place the pan on a rimmed baking sheet, cover lightly with aluminum foil and bake for 40 -45 minutes. 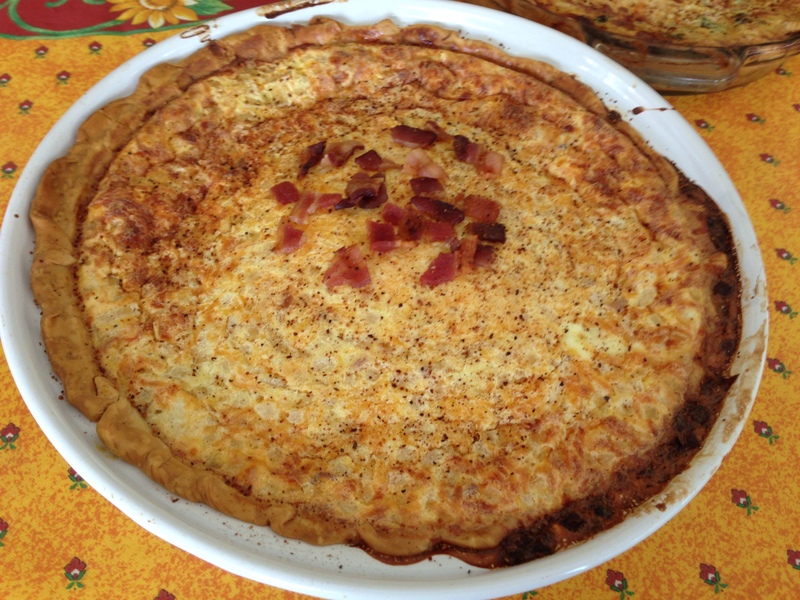 Remove the foil and continue baking for 10 to 15 minutes, or until the quiche is set and the crust is golden brown. Remove from the oven and allow to sit for 10 minutes before slicing. Note: If too much quiche liquid and you have leftover, make some little crustless quiches, cook only 30 minutes! This entry was posted in ENTREES, Sides & Misc. and tagged asparagus quiche, BACON, breakfast, brunch, cheddar quiche, HAM, ONION, quiche. Bookmark the permalink. Looks delish. You’re making me hungry!!! THANKS, Rita! I appreciate your comments!